“We make building valuation simple and digital.” In the beginning there was the idea and the demand to make it possible for as many people as possible to accurately determine the value of buildings. Simple, at any time, in any place. That’s why we, Sven Jantzen and Jon Meis, made it “simple”. We have built up a great team and lumped together our experience from the insurance industry, building valuation, 3D building modelling and our enormous knowledge of geoinformatics and measuring methods. We have turned the idea into reality. The SkenData GmbH was established in April 2014 in Rostock. First we developed and tested almost 2 years – partly with state support. Today we have tens of thousands of users and we are growing rapidly. The German insurance industry approves Wert14 with a waiver of underinsurance. We have received several awards at home and abroad. In several categories such as Digital Leuchtturm, Underwriting, Sales, Claims, IT and Service. Our team of building experts, construction engineers, insurance specialists and geoinformaticians brings all their experience to work for you. We will find the best solutions for you. For this purpose we use the most powerful technologies and huge amounts of data. We create added value by processing big data and simply inviting you to a simple and user-friendly building valuation. 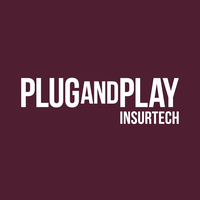 Our groundbreaking technology has been included in Insuretech Batch1 Europe at Plug and Play. Only 17 out of 500 Insuretechs were screened and our digital building valuation process was selected for proof of concepts and pilot projects. We are proud to be ranked 1st in Germany and are looking forward to the next round on the 7th of December 2018 in London. The Eisenhut Award (award for sales software) has been announced annually since 1999. For the second time since 2016, SkenData has received the award in the “Sales Software” category. In this context, this means any kind of software support provided by an intermediary to support customer consulting or customer, contract and agency management. As part of the event, the evening’s award ceremony provides a forum to recognize groundbreaking ideas, projects and solutions that play or could play an important part in the digitalization of the insurance industry as exemplary “lighthouse projects”.